There are two main reasons why garden log cabins are common targets for burglars – the valuable garden equipment stored in them and the simple security systems garden log cabins are equipped with. Of course, the security of your garden log cabin is associated with the overall security of your property – the house and the garden. Therefore, it is mandatory to take care of such security measures like a good fence, inside and outside lighting and a home & garden alarm system. However, there are a few essential things that each log cabin owner should take care of to secure their garden log cabin and prevent break-ins. To help you out, we have compiled the most important ones in this article – here are the top tips that will help you secure your log cabin! Proper doors and locks are the first thing that every home security advisor will advise you to take care of. When it comes to the doors and locks, the first thing people think of is installing locks that are hard to break, which, of course, is a good idea on its own. However, even the best available locks won’t protect you if you don’t lock the doors of your log cabin or leave its windows open. It might seem like an overly simplistic tip, but a surprising amount of people don’t lock their log cabins when they’re not in their garden, because they think that they will notice something suspicious happening in the garden when they’re inside the house. 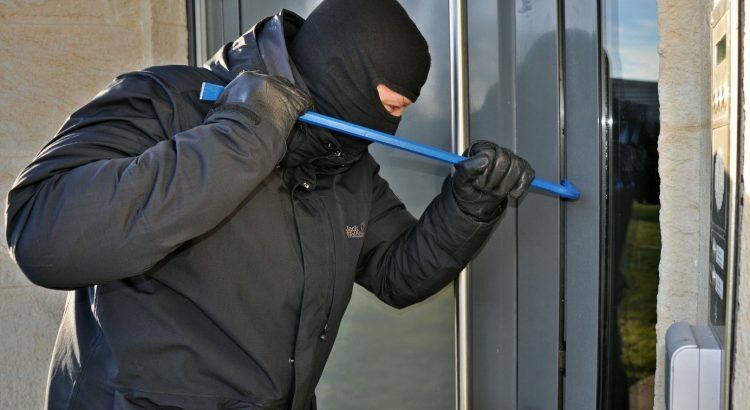 Meanwhile, the truth is that burglars often need just a few minutes to get away unnoticed if the doors are left unlocked. Secure doors and locks won’t be able to help you if your windows aren’t secure as well, as windows are often the weak point in a log cabin. If your windows are easy to break or open from the outside, the burglars won’t even have any need to try opening the doors. Therefore, it’s crucial to install windows that are secure and high-quality, to make your log cabin a harder target for burglars. If you feel that the windows of your log cabin are not secure, but you’re not able to change them at the moment, there are some other solutions that you could put in place, like installing window bars or window locks on the inside. Your log cabin becomes a more desirable target to burglars if they know exactly what they can find inside. That’s why it’s a good idea to install curtains or blinds on your log cabins, so others can’t see inside of it. In addition to that, it will not only protect from snooping eyes but will also provide you with some privacy. The ultimate security solution for your log cabin is, of course, installing an alarm system that will alert you if someone tries to break in and scare off the intruders. There is a range of options that you can choose from – starting from classic alarm systems that are triggered when someone opens the door or breaks a window, to security lighting that’s triggered by movement or heat, to more sophisticated options, like adding your log cabin to your home alarm system and/or CCTV system.